In this article I present the steps to register a custom 'fixed bottom' widget area and displaying the contents of widgets placed in this widget area and using CSS so this section always appears stuck at the bottom of screen with main content going underneath it. I will then take it a step further and expand it so that we register two widget areas and then place a horizontal opt-in form at the left and social icons in the right. Sridhar, .. you’re awesome. 🙂 Thanks for your work as well as this post. This is an amazing tutorial, Sridhar! I won’t be using this on my own site, but I do have plans to use it on a few upcoming projects (I’ll let you know how it goes). Thanks for sharing! There’s a problem with the single fixed bottom code. 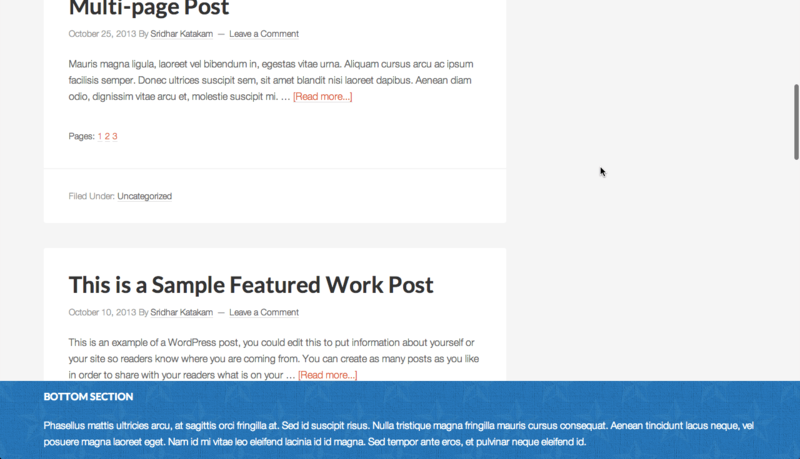 On any view except mobile the fixed area covers up the footer-widgets and site-footer areas. I’m guessing that the fix is to add an equal amount of margin-bottom to the site footer to compensate for the fixed bottom height? With a fixed widget box there’s really no way I know of to determine it’s height in all cases. So if there’s a paragraph in the fixed widget box it will reflow based on screen width and the height will change. It’s a tricky problem. What about the images in your code? This was a tremendous help… thanks a ton for your help here! 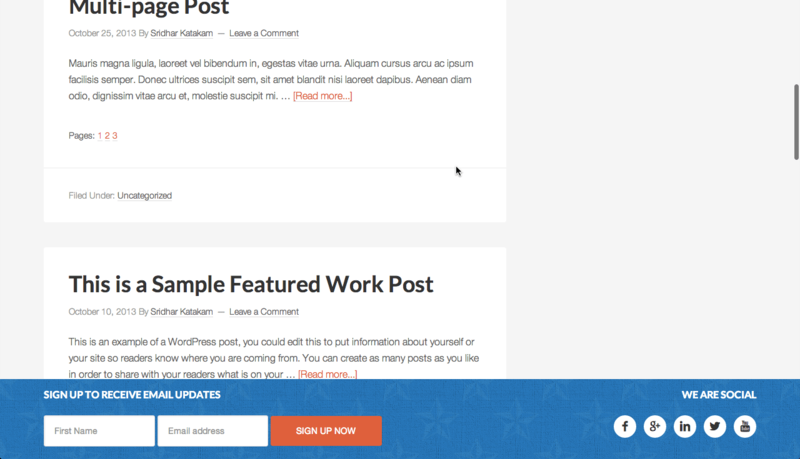 I want to add a fixed bottom widget that stops before the footer (instead of after). Would I just replace “genesis_after” with “genesis_before_footer”?